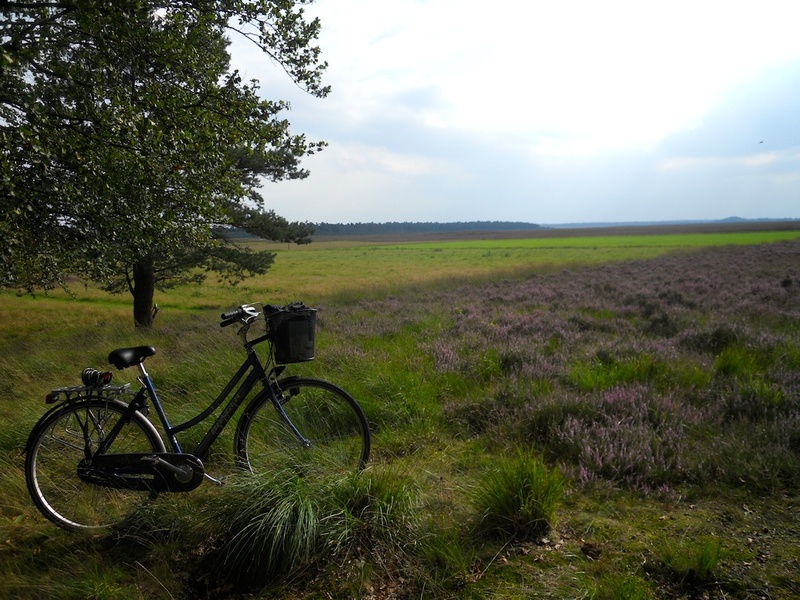 The goal of this trip was to cycle through the Hoge Veluwe, a national park in the east of The Netherlands. We had arranged to couchsurf in Arnhem. We left The Hague by train on Friday morning. On the way we made two short stops in Gouda and Utrecht. 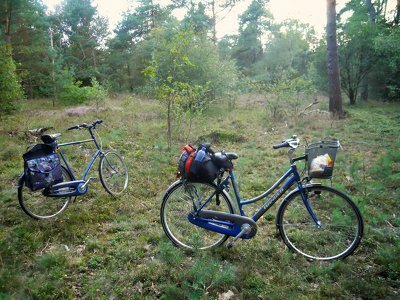 Since it was still early in the day we decided to get out of the train at the station Ede-Wageningen and cycle to Arnhem from there. Because we did not bring any camping equipment we were traveling pretty light. 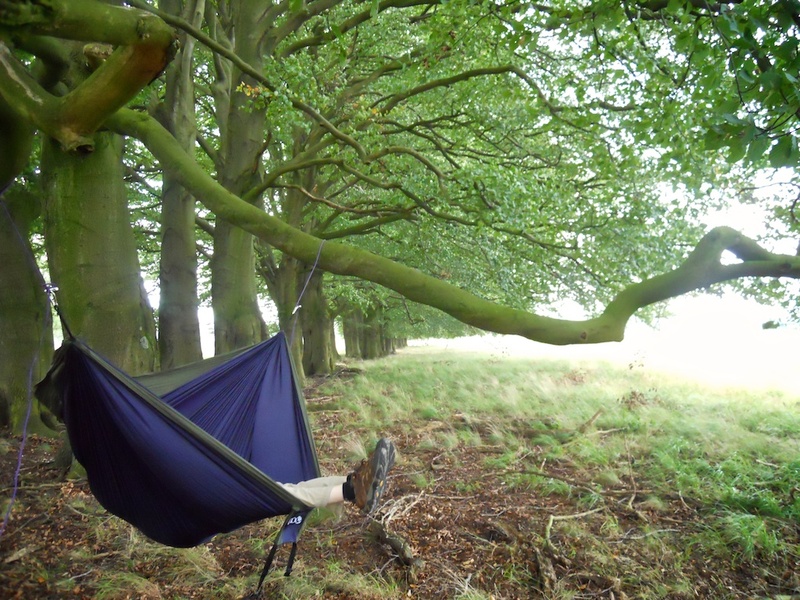 Me with a single pannier on the back with some clothing and the hammock, not for sleeping in but for daytime hammocking. I also had a saddle bag with tools. Mimi had a backpack strapped to the back of the bicycle and her basket in the front, and as usually was in charge of the food. We cycled around the city of Ede and used the local McDonald's for its facilities. In The Netherlands most shops don't have a toilet for customers, cafés and restaurants usually have one of questionable quality but really want you to buy something, on train stations you need exact change and public toilets are hardly ever around when you need one. The McDonald's however usually has good facilities, and in the smaller towns does not require an access code that is printed on a receipt. Then we cycled to Arnhem, on the cycling path next to the road. 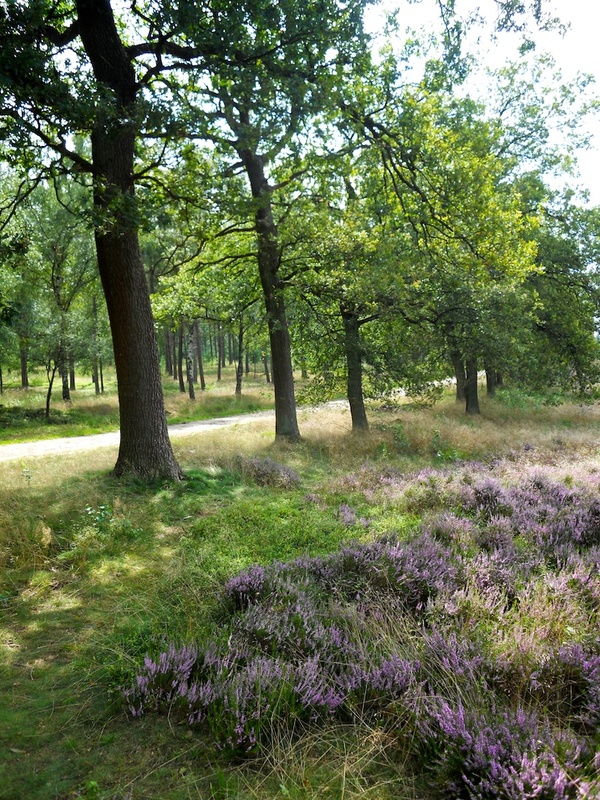 This area of the Netherlands has a lot more trees than the west alternated by fields of heathland. 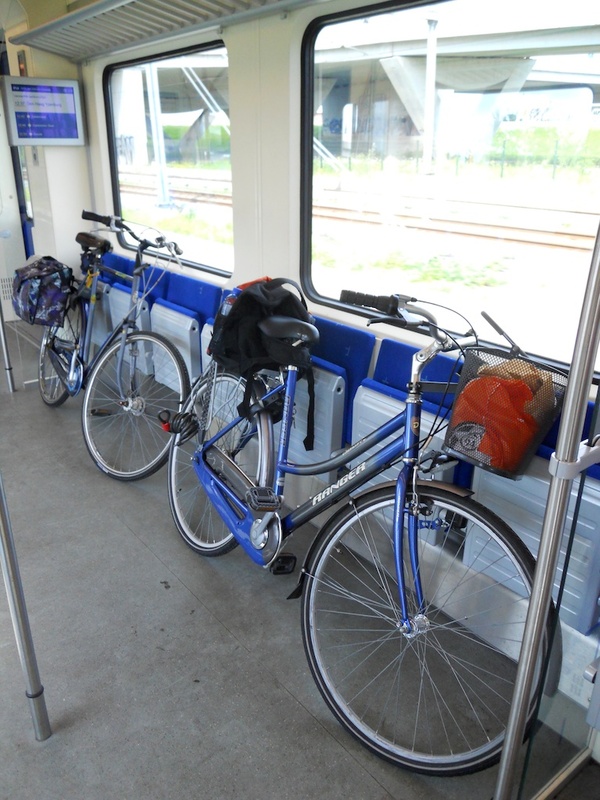 The Sprinter trains have lots of space for bicycles. On the way we stopped to pick some blackberries that were growing along the road, and at a war memorial. Arnhem and its surroundings were the stage for the famous Operation Market Garden as featured in the movie A Bridge Too Far. In Arnhem we got some food from the local supermarket and had a picknick in the park. Our host was not going to be home early so we went to the local film house where we watched a French movie. 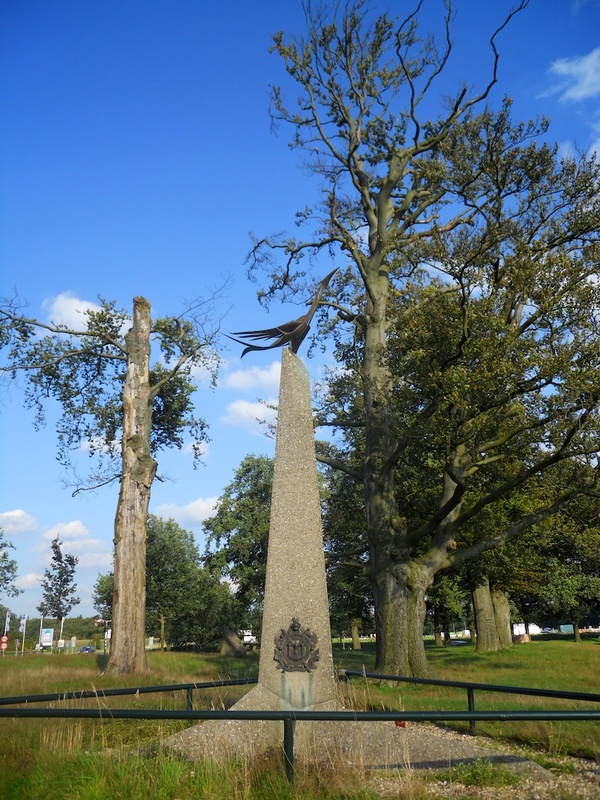 After spending the night in Arnhem we visited the open air museum just outside the city. Cycling across Arnhem feels different from most other Dutch cities as it has some hills and slopes that make for an interesting ride. I was very impressed by the open air museum. It is very big and totally immersive, unlike any other museum I have ever been. 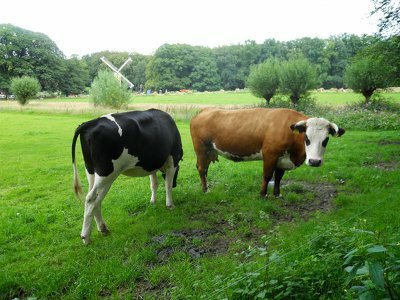 It contains reproductions of farms, houses, shops, factories and of course windmills from prehistoric times all the way up to real buildings from the twentieth century that have been demolished and rebuilt in the museum. The buildings can and are filled with furniture from the time period and can be visited. The museum has been there for over a hundred years so even some of the reproductions are antiques already, however it is still updated continuously and even has some a row of houses with typical interiors from the fifties, sixties, seventies and eighties next to each other where you will find familiar objects, depending on your age. We spent the entire day there until closing time forced us to leave. Because of the long days during summer time we still had plenty of time to cycle around the surrounding area. Basket weavers in the open air museum. Riding an old fashioned bicycle. 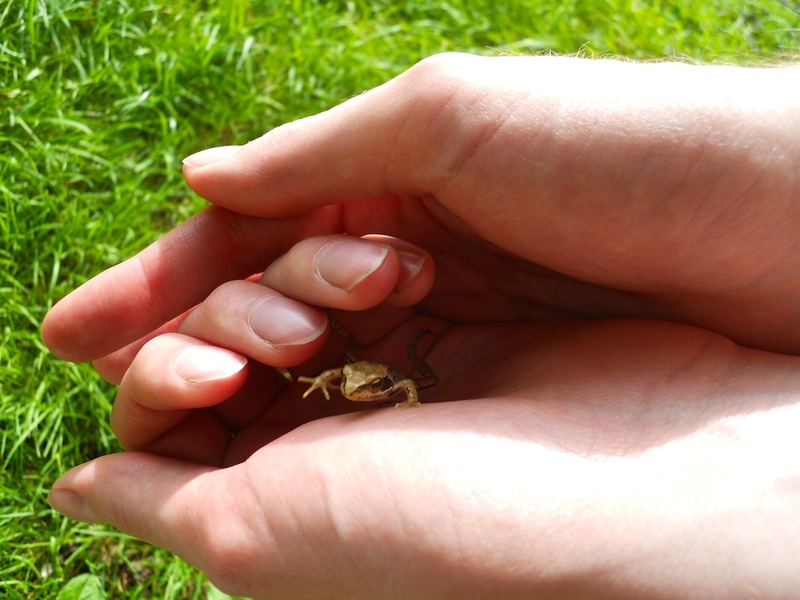 Making friends with the local amphibians. Some of the worst maintained museum pieces I have ever seen. The earmarks reveal that these cows are just pretending to be from another time. 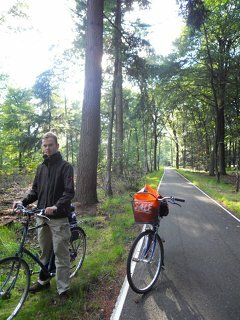 These city bikes also feel right at home in the woods. 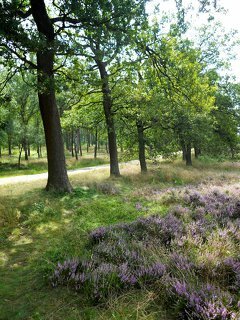 This day we visited the national park Hoge Veluwe which has an entrance (Schaarsbergen) just north of Arnhem. There are strict opening hours and you have to buy a ticket to get in. 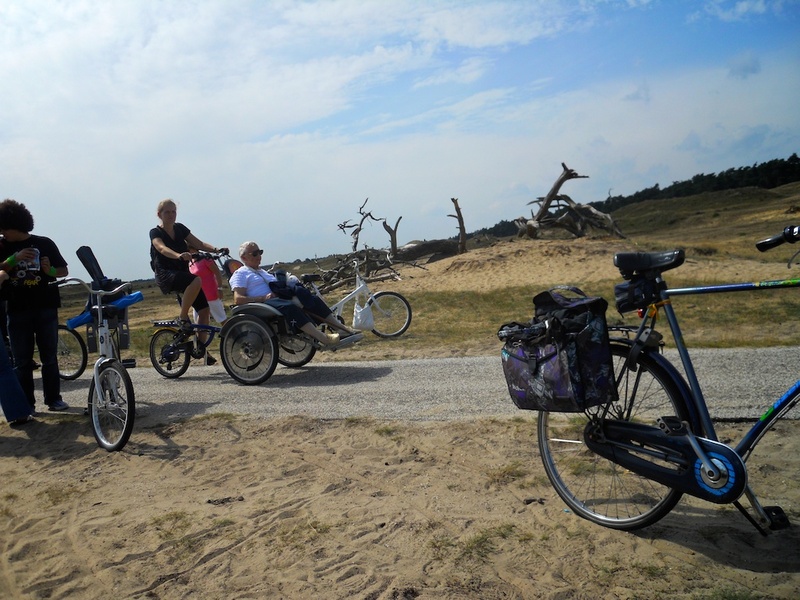 The park offers free bicycles to all visitors, which is a very nice way to explore the park. Inside the park there are several museums. We visited the Museonder, which is about geology, and basically everything that you find underground. Entrance is free for visitors of the park. We were not in the mood for the Kroller Möller Museum of modern art, which you do have to pay for separately. The nature is pretty much like what you would find in the area around it, with the major difference that there are less people here and more animals. 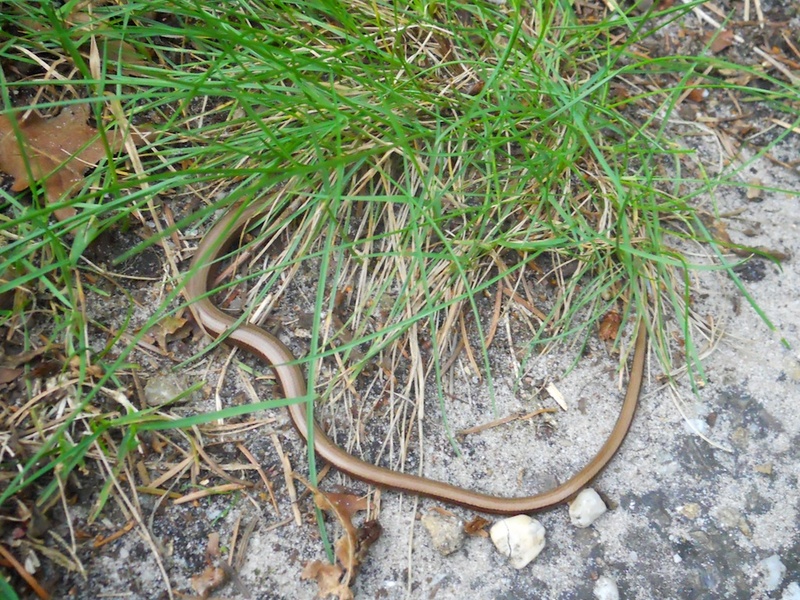 We came across a slow worm, a limbless reptile that is not a snake, and a herd of deer in the distance. 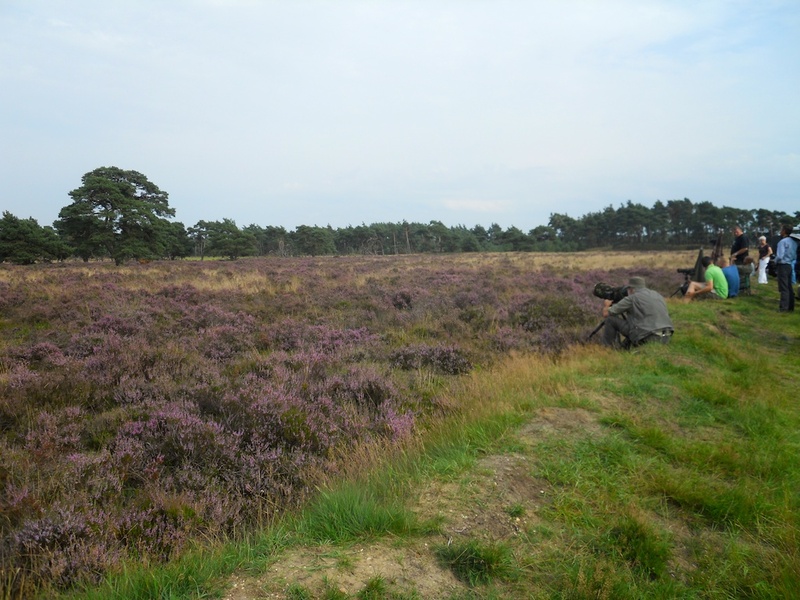 The deer attracted a lot of attention and within a few minutes photographers with huge tripods and ultra zoom lenses seemed to appear out of nowhere. 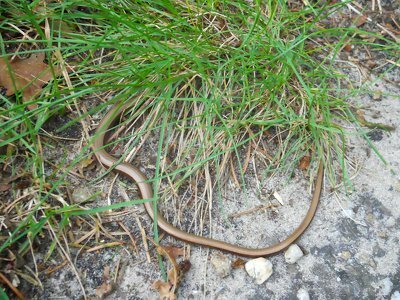 A slow worm making a quick escape. Humans taking shots of some deer. 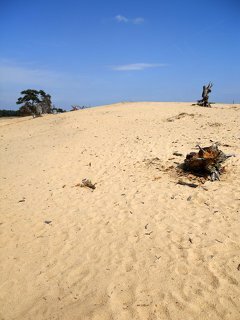 One of the most surreal places is the sand drift in the middle of the park. It is a huge clearing in which is basically a miniature dessert. Ironically sand drifts in The Netherlands are the result damage to the natural environment caused by humans hundreds of years ago but are now regarded as rare and protected habitats. 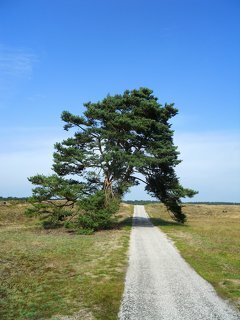 A path under a pine tree. Sand drifts are like miniature desserts. Big trees make good hammock spots. 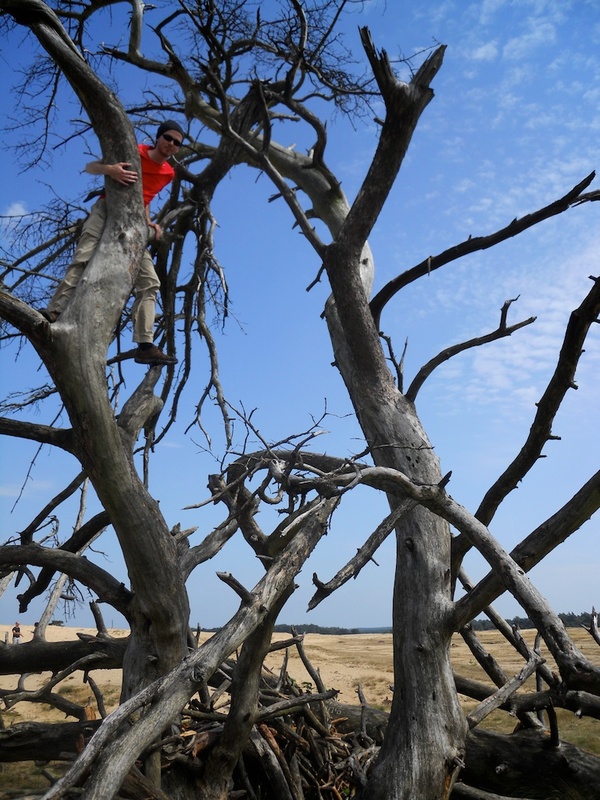 Big trees are also good for climbing. 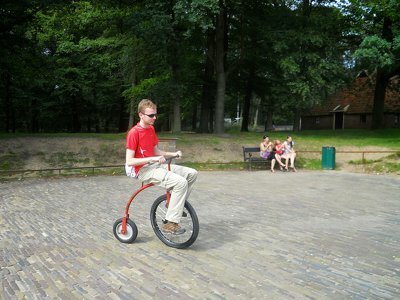 Enjoying a bike ride in a wheel­chair. At the train station in Arnhem it became obvious that there were no trains going to Utrecht, and going around there was not really an option. Of course the ever so helpful train people informed us that we should have checked their website earlier that day. 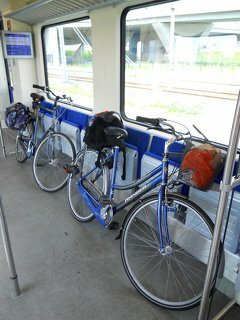 Since we were not the only cyclists who had to get to Utrecht there was a chance we had to wait for the next one. 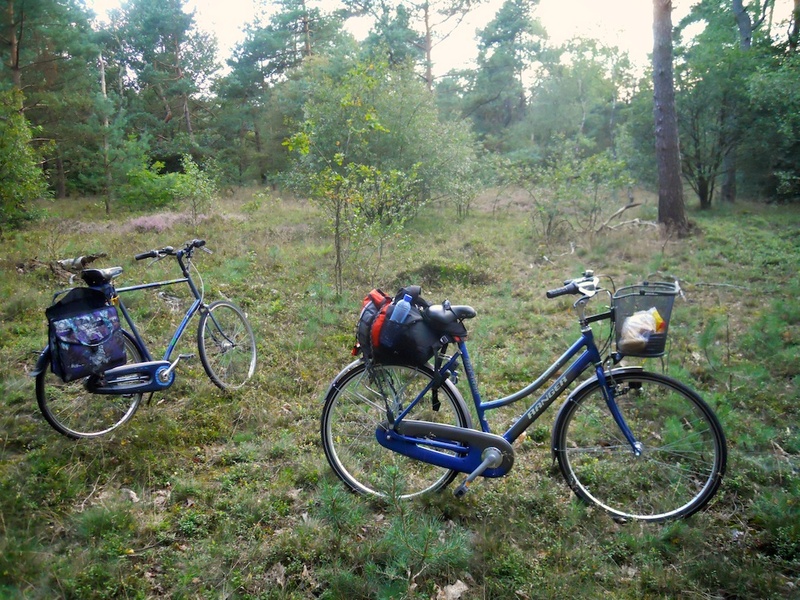 Another option was cycling to the next train station, but we were pretty much done cycling for the day. Luckily we were able to load the bicycles in the bus on the space that is normally reserved for wheelchairs. The Grote Markt in The Hague where people are sitting outside on a warm summer evening. That evening in the bathroom I discovered a tick that had attached itself on my inner thigh. 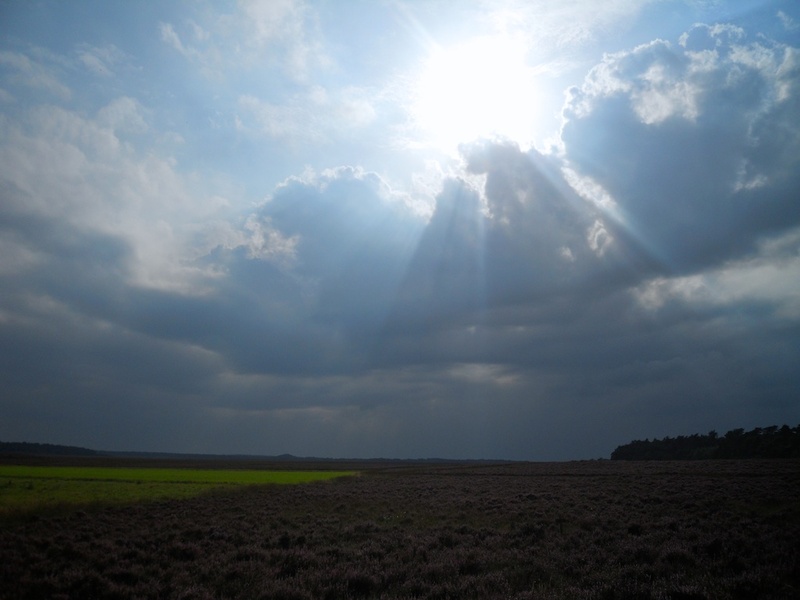 Ticks in The Netherlands have been known to be carriers of Lyme disease, however the risk is limited if they are removed within 24 hours. I tried to remove it by twisting and pulling it with tweezers, which I had been told on numerous occasions was the proper technique. Turns out there is a lot of misinformation floating around on the topic of removing ticks. As far as I can tell the proper technique is to pull it straight out. Thankfully I was able to pull the remaining parts out and and the wound healed normally. Overall the trip went pretty well. 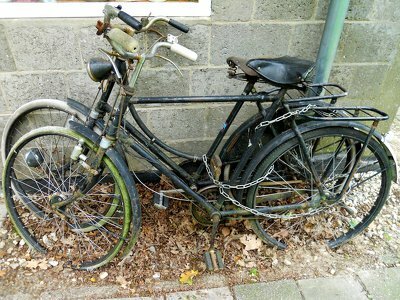 Our city bicycles were up for the task and we did not have any mechanical problems. The hills of Arnhem were a bit of a challenge, but we persevered. 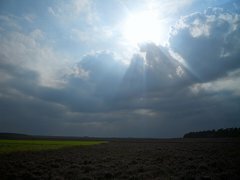 Aside from a few drops of rain on Sunday afternoon the weather was great. 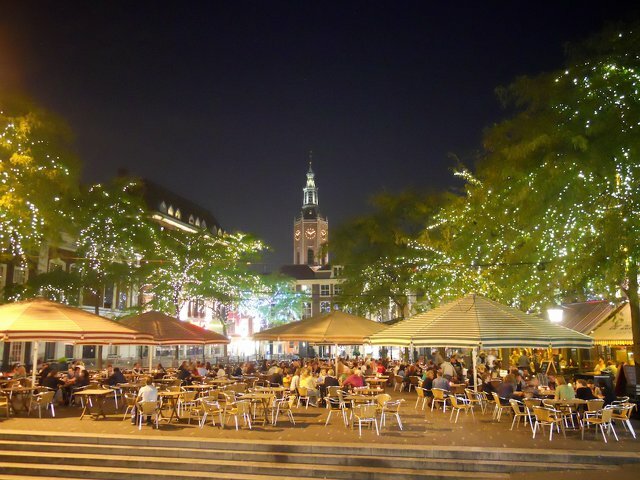 Arnhem and the surrounding areas are very cycle friendly, and although they are not on most people's list who visit the country it is well worth the visit. 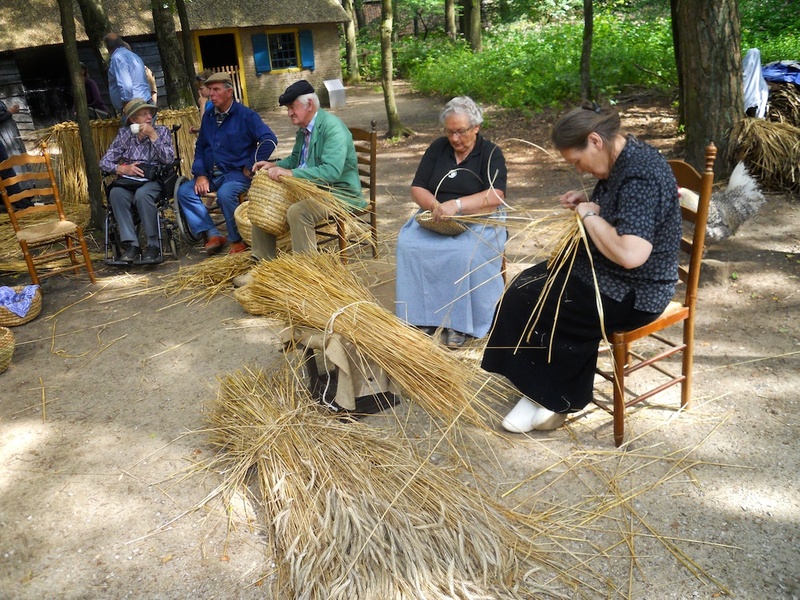 Especially when combined with a visit to the open air museum, which is unique in The Netherlands and gives an insight in Dutch history that you will not find anywhere else.